How to place 2 fields in the same line, a side by side layout? 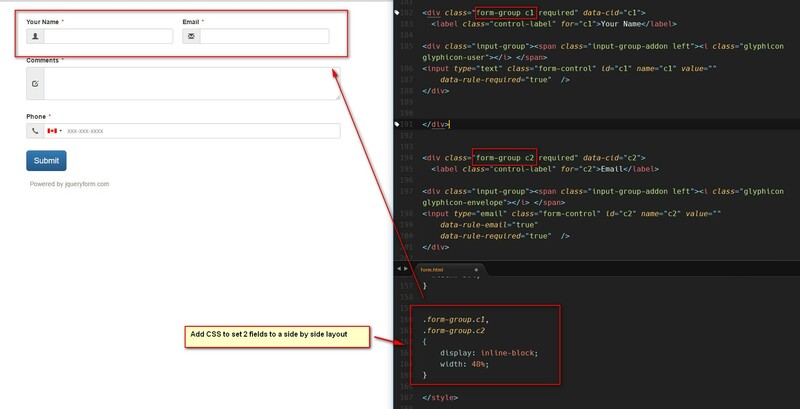 JQuery Form uses bootstrap framework. You can use CSS to set 2 fields in the same line. Find out the ID of two fields, which are c1 and c2 in this case.